You’ve read that right. 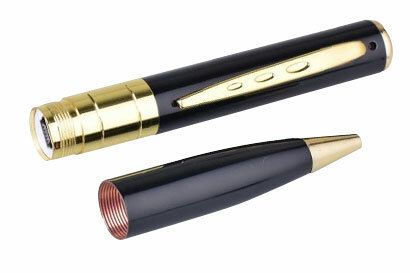 This pen can actually shoot videos, and take photos and record audio while looking like an ordinary pen. Its camera is small so you can be sure that it wouldn’t be cumbersome or have a bulky look. It’s easy to use, and lightweight so you won’t have any problems bringing it along with you anytime you want. 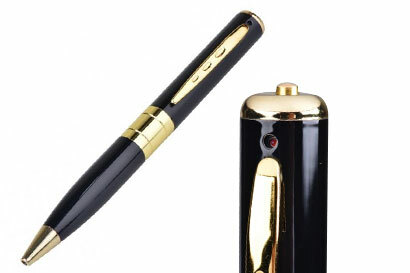 It looks like an ordinary but stylish pen in black and gold so you can shoot and capture videos and videos discretely. Capture life’s moments as you hang it on your shirt collar, on the spine of a notebook, and many more. Its battery life can also last up to 40 minutes of continuous recording so you don’t have to be worried about the power running out when you’re only capturing short videos. Take advantage of today’s Deal and feel like a secret agent when you bring a gadget that’s actually good for one with the Video, Photo, and Audio Spy Pen Camera.